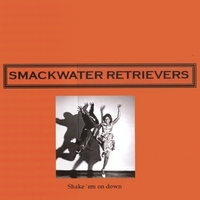 The Smackwater Retrievers play with heart and blood - you can’t listen to them and hang on to your blues. If they don’t get you tapping your feet, snapping your fingers, bouncing in your chair, shaking your thing on the floor, then you’re surely dead. Joe Hutchinson: Born in 1943 in Lasalle, Illinois, Joe started playing piano, guitar and 5-string banjo at age 14. Early influences started with tuning in to radio station WWVA in Wheeling, WV and hearing Flat & Scruggs, Jimmy Martin & Bill Monroe. His mother was an airline stewardess for American Airlines on the run from Memphis to Chicago and would hang out on Beale St. listening to B.B. King and in Chicago to Maceo Merriweather & Albert Ammons, her favorite song being “Cow Cow Boogie” by Cow Cow Davenport. She passed her love of blues on to Joe. At college, Joe formed a duo with Eric Anderson, playing as house band for the Ballad & Banjo in Hyannis Port, MA the summer of 1962. The following year Joe teamed up with Eddie Mottau as Two Guys From Boston, playing ragtime, blues & folk music. Joe also began writing music, and with Paul Stookey (Peter, Paul & Mary) as producer they recorded an album for Scepter Records with John Sebastian, Felix Pappalardi, N.D. Smart & Sticks Evans. Two Guys From Boston toured the U.S. and Canada and played regularly at the Gaslight on MacDougle St. in Greenwich Village along with Mississippi John Hurt, John Hammond, Ritchie Havens, Chuck and Joni Mitchel, Johnny Cash and Son House. In 1967 Joe & Eddie moved to New York and along with Jim Colegrove on bass and Ronnie Blake on drums became BoGrumpus. They recorded the album “Before The War” for Atco records produced by Felix Pappalardi and assisted on drums by N.D. Smart. In 1968 The group became Jolliver Arkansaw and recorded the album “Home” for Bell records also produced by Felix Pappalardi. In the early 70’s Joe retired from the limelight to live another dream, and moved to Alaska to raise a family with his wife Jean. He continued to play music as a solo act and write songs. After moving to Apalachicola, Florida in 1995, Joe got back into recording and produced two albums of mostly original material, “Daylight In The Swamps” and “Beyond Your Best Behavior”. In 2006 he formed Smackwater Retrievers, playing slide guitar and singing traditional blues and roots music with his 19 year old son John on drums and son-in-law Jereme Neill on upright bass. Their first CD “Shake ‘Em On Down” was released in 2007 to critical acclaim. Jereme Neill: Jereme got his first guitar at age 5, a gift from his honky-tonk piano playing grandmother. With a family of musicians in his background, he grew up in Alaska playing mostly bluegrass guitar and bass and drums in various rock bands as a teen. After marrying Katherine Hutchinson, he bonded with his father-in-law over delta blues, switched to upright bass and the rest is Smackwater history. John Hutchinson: Did he have a choice? John has grown up absorbing music and is comfortable with almost any genre. He played trumpet in school but as a member of “Smackwater Retrievers” he shows his considerable talent on the drums which he started playing at the age of 8. At 14 he was in his first band, Adak, and currently in addition to Smackwater Retrievers he sings and plays drums for Second Story. . .but that’s another story.